Make sure you're buying safe skin care products, including moisturizers and body lotions. Perhaps you were raised from a child by a pack of wild rhinoceroses and think that tough, wrinkly skin is a good thing. But chances are, you like your skin to be smooth, soft, and protected, and the use of skin lotions and similar products is part of your body-care regimen. But what about the ingredients in your favorite moisturizer, body lotion, or hand cream? How safe are they? The following report details the risks associated with skin care products and suggests some healthy alternatives. The report is provided by the good people at The Green Guide, the go-to consumer source for environmental health news and advice, product reviews, and green-home/green-living tips. Not only do moisturizers heal and prevent dry, chapped skin, but they can also be used to block harmful UV rays. However, lax government oversight allows the personal-care products industry to make exaggerated, empty, and even outright false claims about the ingredients in moisturizers and other skin care products. For instance, not only does a term like "organic" not have the same meaning it has in the food industry, many ingredients are not even disclosed on the label of some skin care products. Of those ingredients that are listed, studies show that many may pose health risks to consumers. In an industry where, according to the Environmental Working Group, "89% of 10,500 ingredients used in personal care products have not been evaluated for safety by the CIR, the FDA, nor any other publicly accountable institution," responsibility falls on the private sector, on research universities, and on consumer advocacy groups to determine what we're really putting on our bodies. According to the US agency that regulates cosmetics—the FDA's Office of Cosmetics and Colors—"a cosmetic manufacturer may use almost any raw material as a cosmetic ingredient and market the product without an approval from the FDA". Testing of product ingredients is not only controlled by the manufacturers but is also voluntary. Not surprisingly then, many ingredients in cosmetics, skin care products, and other personal-care products are not tested for safety at all, and most have not been evaluated for safety by the FDA. This means that companies can market ingredients that are known to pose potentially serious health risks, including some found in moisturizers. Once believed to be a barrier, we now know that skin is permeable and that ingredients used in skin care products can be absorbed. These include irritants; possible and known carcinogens; and ingredients that may be hormone disruptors. Moisturizers with artificial colors present a particular hazard in skin care products. FD&C Blue 1 and FD&C Green 3 are carcinogenic, and D&C Red 33, FD&C Yellow 5, and FC&C Yellow 6 have been shown to cause cancer when applied to the skin. Some artificial coal-tar colors contain heavy-metal impurities, including arsenic and lead, which are carcinogenic (and toxic in other ways as well). Since moisturizers lie on large areas of the skin for extended periods of time, exposures are increased. Phthalates, a family of chemical plasticizers that are used in personal care products to moisturize skin and as a solvent, are almost synonymous with fragrance. Phthalates have been shown to cause birth defects, reproductive impairments, and liver damage in lab animals. Manufacturers are not required to list the ingredients used in "fragrance," but common ingredients also include methylene chloride, toluene, methyl ethyl ketone, methyl isobutyl ketone, ethyl alcohol and benzyl chloride, all of which are hazardous. According to the American Academy of Dermatology, fragrance is the number one cause of allergic reactions in cosmetics. Look for "fragrance-free" skin care products or ones scented with essential oils. Preservatives used in skin care products ensure that the products do not become contaminated with bacteria; however, consumers should note the choice of preservatives, since many can have adverse effects. Parabens, including methyl-, butyl-, ethyl-, and propyl-, often cause skin irritation, and there is concern that parabens may be linked to the development of breast cancer. According to study published in the Journal of Applied Toxicology, parabens have been found in tissue samples from human breast tumors. The FDA warns that glycols can cause adverse reactions in users. A Consumer's Dictionary of Cosmetic Ingredients warns that "ethylene glycol, carbitol, and diethylene glycol are hazardous in concentrations exceeding 5%, even in preparations for use on small areas of the body" and advises that in sunscreens and lotions, which are applied all over the body, they not be used at all. Glycol ethers are often used as solvents in cosmetics. Some glycols can affect the reproductive system or cause birth defects, and overexposure can result in kidney damage and liver abnormalities. Glycols may also cause contact dermatitis. Avoid the following: EGPE, EGME, EGEE, DEGBE, PGME, DPGME; and those with methyl in their names. Benzophenones (benzophenone-3, homosalate, and octy-methoxycinnamate (octinoxate)) have shown estrogenic activity in lab tests. Padimate-O and Parsol 1789 are chemicals that have the potential to damage DNA when illuminated with sunlight. On the skin's surface, the chemicals do protect from UV damage, but once absorbed, these same chemicals can prove destructive. Dr. Knowland, a biochemist at Oxford University, has studied both of the chemicals mentioned above and warns, "DNA damage inflicted by an excited sunscreen is much less capable of being repaired by naturally occurring repair mechanisms than the DNA damage inflicted by UV alone." Most skin care products are sold in plastic containers, a product made from nonrenewable fossil fuels. Too often, these containers cannot be recycled and go straight to landfills. Also of concern are common moisturizers such as mineral oil and petrolatum (better known as Vaseline, petroleum jelly, or paraffin jelly). All are derived from petroleum, a non-renewable source. Although the Food and Drug Administration requires that ingredients used in cosmetic products, which includes skin care products, be "adequately substantiated for safety" prior to marketing, it has not established standards for testing. Neither the FDA nor the US Consumer Product Safety Commission requires animal testing, and with viable alternatives such as in vitro and computer modeling, there is no need for animal testing to continue. Get more info on this aspect of skin care products by reading our article about the ethics of animals testing and personal-care products. It's not uncommon to find labels such as "Organic," "Fragrance-Free," "Hypoallergenic," and "Cruelty-Free" attached to your favorite moisturizers and other skin care products. The labels sound reassuring, but consumers should be forewarned: too often these labels have little, if any, meaning. Although the USDA has set strict guidelines regulating food labeled organic, the guidelines do not apply to skin care products. Many of these products have as little as 50% organic ingredients, and some have even less—skin care products with at least one organic ingredient can be labeled "organic," regardless of the other ingredients used. Avoid hot water; instead wash with warm water. Keep bath or showers brief. Do not rub skin dry after bathing; instead pat it dry. Apply moisturizer immediately after bathing, while your skin is still moist. For consumers with sensitive skin, moisturizers with any of these labels may seem like the safest option, but claims that these products produce fewer allergic reactions are unfounded. The FDA warns, "there are no federal standards or definitions that govern the use of the term 'hypoallergenic'. The term means whatever a particular company wants it to mean." There are no organizations behind these claims, and manufacturers are not required to provide evidence that these products do, in fact, produce fewer allergic reactions. The FDA also cautions that nearly all cosmetic products will cause an allergic reaction in some sensitive individuals. Although there is no official definition of the term "non-comedogenic," the FDA says that it should mean that the product does not contain pore-clogging ingredients that could lead to acne. However, the FDA does not provide a list of ingredients considered non-comedogenic, and no organization verifies manufacturers claims. 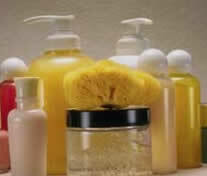 The National Institute of Health recommends that individuals with acne look for oil-free products. Although the "cruelty-free" and "no animal testing" labels suggest that no animal testing was done on the product or its ingredients, consumers may be surprised to learn that neither label guarantees this. No legal definitions of these claims exist and no independent organization verifies them. In fact, it is not uncommon for manufactures whose products bear these labels to commission laboratories to conduct test on animals, arguing that that they themselves do not conduct animal tests. Fougera Lanolin Hydrous Topical Lubricant is made only with lanolin and water. Mad Gab's Body and Massage Oil is a blend of oils, including Vitamin E, Jojoba, and Apricot Kernel. Aubrey Organics Evening Primrose Hand & Body Lotion is scented with essential oils and uses the safe, gentle preservatives vitamins A, C, and E. Plus, it's packaged in recyclable plastic bottles and bears the Leaping Bunny logo. Weleda Malva Body Lotion contains essential oil-based fragrances. Un-Petroleum Multi-Purpose Jelly contains no synthetic ingredients. P.S. from Grinning Planet — In general, we have found that Dr. Bronner's and Aubrey Organics are two product lines with a strong adherence to natural and organic principles. You can support this free site by shopping for safe skin care products at Amazon.com. Zinc oxide and titanium dioxide are effective sun blocks that rest on the skin without being absorbed. Look for moisturizers with SPF that use these active ingredients, or use a moisturizer in combination with a sun block. The Leaping Bunny label indicates products made by companies that follow the Corporate Standard of Compassion for Animals. This standard was developed by animal protection groups, including the Humane Society and PETA. Together these groups formed the Coalition for Consumer Information on Cosmetics. Companies with this logo pledge not to conduct or commission animal testing. To see which of your favorite companies use the label, check out www.leapingbunny.org. Reprinted with permission of The Green Guide Institute. Please send them this article about safe skin care. All parents want a healthy, environmentally sound home for their child, but where do they start? This book has practical, inexpensive, and easy lifestyle advice for every stage of parenting including: advice for parents who are expecting; info on which plastics and baby products to avoid; tips on food and snack choices; info on safe and unsafe cleaning and personal-care products; ways to minimize allergens, dust, and lead; thoughts on outdoor spaces; tips on pets and pest control. Also included is a 27-page shopper's guide to the best quality, most trusted products every home needs. Everyone everywhere now carries a dizzying array of chemical contaminants, the by-products of modern industry and innovation that contribute to a host of developmental deficits and health problems in ways just now being understood. These toxic substances, unknown to our grandparents, accumulate in our fat, bones, blood, and organs as a consequence of womb-to-tomb exposure to industrial substances as common as the products that contain them. Investigative journalist Nena Baker explores the many factors that have given rise to this condition—from manufacturing breakthroughs to policy decisions to political pressure to the demands of popular culture. Ecoholic is your guide to separating the green from the greenwashed. It names names and gives you the dirt on what not to buy, and why. It's filled with tips on everything from which seafood is safe to eat to greener choices for clothes, beauty products, and home supplies to getting the hormone disruptors out of your kids, your carpets, and even your love life. Veteran planet-saver David Suzuki says, "This book is for people who want to do something to lighten their impact on the planet." PURCHASES OF BOOKS (OR ANYTHING!) FROM AMAZON LINKS AND SEARCH BOXES ON GRINNING PLANET HELP SUPPORT THIS FREE SITE. THANKS!